Our stardom has proliferated in the international market for introducing the solution for the flanged end strainer requirement. The offered flanged Y strainer is designed with the flanged end in order to best fit with the process piping and delivers completely leak free experience. The highest assiduity and adherence to the ISO 9001:2015 has entitled us to come out to the range of the flanged Y strainer that shares highest standards. The aptitude to efficaciously remove unwanted sediments from the gas, steam or liquid steam has made it the sterling approach for protecting auxiliary pipe equipment. The ends of this flanged Y strainer are as per the ASME standards, whereas the use of the quality tested material has made it the truly robust construction to uphold the harshest surroundings without failing. The diverse specifications of this flanged Y strainer are available as per the application need, which each is outstanding to protect the pump, flow meter, valve, motor and other process equipment used in the gas, steam, and liquid flow stream. 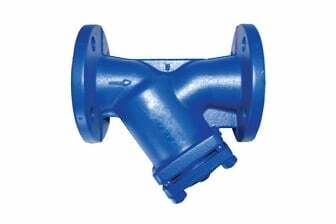 Get this flanged Y strainer at the cost-effective rates in the market and privilege its enormous benefits.